Who wants a tour with small numbers, authentic and organic experiences as well as personalised delivery?…Well then read on!! From a quirky tour in Brisbane to a selection of options in Tropical North Queensland we are sure we have a tour to suit all travellers. The selection below are perfect for singles, couples, families and small groups. They promise to provide your guests with the most authentic, fun and informative local’s guide to Brisbane! The guides are passionate about their city and love to show it off to travellers. The tours are leisurely, easy paced and combine historical sites and cultural attractions with a true insider’s guide to local bars, dining options, events and attractions. 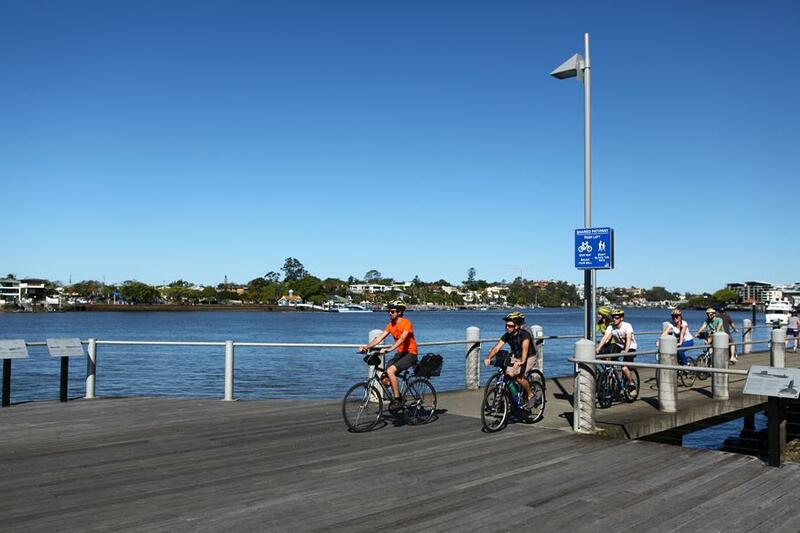 There really is no better way to see the sights of Brisbane than by bicycle with a local guide. Suits all age groups, and group numbers are small to provide a personalised experience. The tours are almost entirely on off-road riverside bicycle paths. This informative nocturnal tour takes travellers to see rare Australian wildlife by both day and night. Departing Cairns and Northern Beaches around 2pm, travellers are taken on a journey of discovery into the worlds oldest tropical rainforest. During the daylight hours the guide will lead the small group (maximum 11 pax) to find wallaby, musky rat kangaroo and Boyd’s forest dragons. They will also learn about the vegetation and how it was used by the Aboriginal people. Dinner is included at a country restaurant in the town of Yungaburra. Then after dinner when it is dark the group goes back into the forest at night. The guide will be armed with a spotlight and will be hoping to showcase platypus, possum and tree kangaroo’s. The tour concludes at approximately 10pm when travellers are dropped at their accommodation. Pick-up from Port Douglas can be arranged. 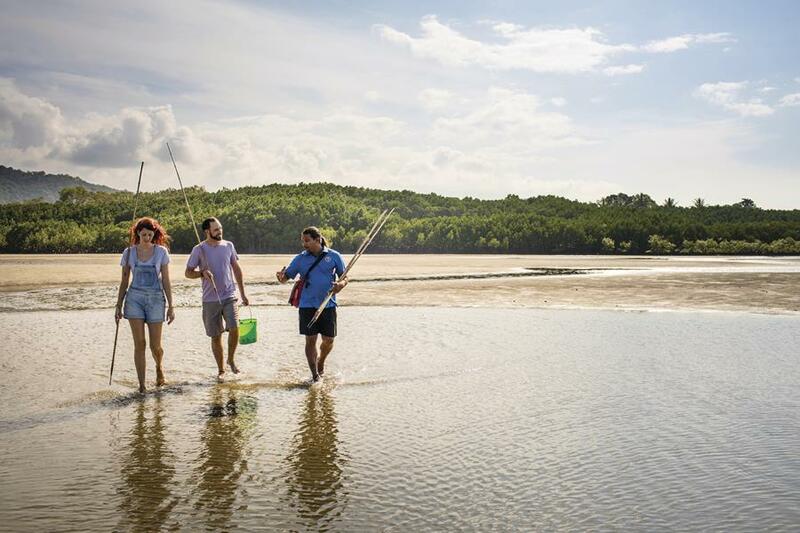 Locally owned and operated Adventure North Australia operates 4WD tours from Cairns, Northern Beaches and Port Douglas, taking in the history, botany and adventure while marvelling at World Heritage rainforest and stunning surrounds. The signature Daintree Dreaming tour is a small group tour which starts with a coastal walk with Kuku Yalanji Habitat tours. With the traditional owners of the land, guests are immersed into their culture, their beliefs and their home. On the second part of this tour there is a Welcome to Country smoking ceremony at Mossman Gorge as well as a guided interpretative walk and the opportunity to swim in this stunning part of Tropical North Queensland. Lunch is included on the tour. For an even more in depth indigenous experience an optional upgrade is available to include the Mossman Gorge Ngadiku Walk with the traditional owners of the land. Departs Monday, Tuesday, Thursday and Friday. The ultimate way to experience the Great Barrier Reef, the rainforest and the outback of Tropical North Queensland like never before, with access to areas that visitors may not have the time or knowledge to get to. Your clients will enjoy unique experiences and incredible encounters on a ‘Signature Tour’ or they can take a short tip to spectacular world heritage listed areas. During their flight they listen to stories and commentary on major landmarks from the experienced pilot. A tour to mention is the Ultimate Sand Cay Experience. Departures are from Cairns, Port Douglas or Silky Oaks and it’s duration is 2 hours and 40minutes. 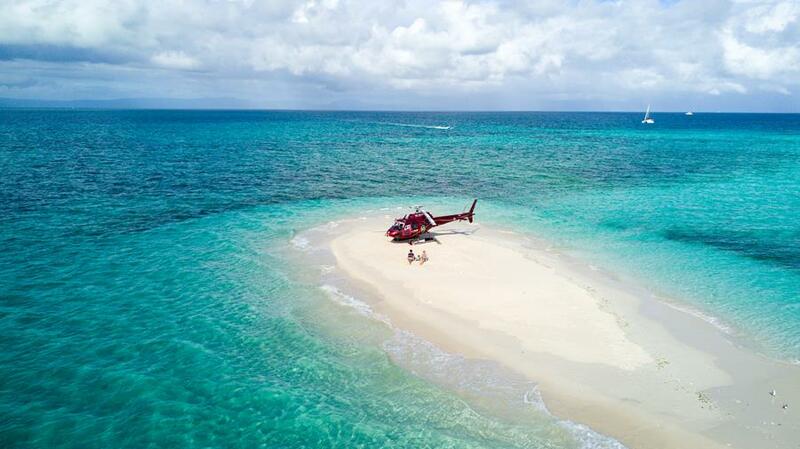 This really is a once in a lifetime experience as guests are taken on a 40minute scenic flight and then 2 hours is spent in total seclusion on a private sand cay. A gourmet picnic lunch is served including refreshments and there is plenty of time to snorkel amongst the beautiful corals or lounge on a beach chair sipping champagne.